Magical wedding video by EmotionalMovie! Our experience with emotional movie was truly magical. Our special day has been caught perfectly on film forever. We are constantly given compliments for our wedding video and they have described it like a film or high end documentary. It’s not normal to have so many cameras snapping away on your wedding day but throughout our whole day we felt comfortable and were not distracted. The team were professional and tailored the video to exactly our tastes. Even after receiving our magical video we wanted a couple of small details from the day and fed that back to the team.Within 24 hours our requests were met and we now feel our video is just perfect. Wedding videos aren’t what they used to be, they are exciting and truly capture magical moments that show true emotion and videos by emotional movie take take them from good to out of this world. Our favourite little token from our wedding and we will have it forever. We are a couple from London in UK, who had a Destination Indian Wedding in Tuscany on 7th September 2018. We chose Emotional Movie to video our wedding without having met them, but were amazed by their incredible portfolio. They were so professional, prompt, kind and made us feel so at ease on our Wedding Day. They are lovely people who have a passion for videography and capturing beauty! Once we received the videos, we were completely blown away. Not only did they come a lot sooner than we expected, but they created an absolute masterpiece! They created an exceptional highlights and documentary video, which was beyond words and touched our hearts. They brought the spirt of our wedding back to life in the beautiful videos, with such amazing composition, editing and attention to detail. We have never seen videographers with such passion and pure talent, and their work is truly unmatched! They did not only document our wedding day, but they put together something truly unique because they have such amazing artistic flare. 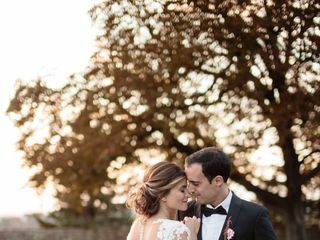 They brought us to tears as we relived our wedding day through the videos, and because of them, we may always remember our beautiful wedding surrounded by the magic of Tuscany. A million times thank you for the best wedding videos we could have ever imagined or hoped for, we are ever so grateful. We are so happy we chose Emotional Movie and would recommend them to any one! We had a wonderful time working with Emotional Movie! From our initial Skype call to confirmation emails to the day of the wedding, they could not have been more warm, professional, and helpful. The energy they brought to the day was calm, supportive, and inspired. I am so grateful to have the film they took and would absolutely recommend them to anyone! It can be difficult booking something so important long distance. Thankfully, they came through in every way and added a wonderful presence to our day. We spent A LOT of time trying to decide on a videographer and trust me, after seeing the type of production available in Italy (no offense), we almost gave up. But I chanced upon EmotionalMovie's videos and we made the decision to go with them. We are extremely pleased with their service. Received our video within 2 months! I was really surprised by how amazing the video turned out (we didn't get to spend much time with the trio as we were too busy running around). I honestly didn't think that they had enough footage, but man, they did such a fantastic job. I thought they were really creative and they really had a great eye, an eye for detail! They were not only professional but made us feel at ease the entire time. I would highly recommend that you take up the drone package, it was sooooooo worth it. Thanks again EmotionalMovie! We came across Emotional by google search. As a couple from San Francisco, CA planning a destination wedding in Florence, Italy, we were in need for a local videography team with a style and creative direction as unique as our wedding as well within our budget. As scary it is to book international vendors, Emotional was very responsive to our questions via email. On wedding day, they arrived with happy faces and were very comfortable and fun to work with. Our final media came sooner than expected and we were blown away with the end product. With the help from Emotional, we will always be able to relive our special day. Just blown away with the final product- Thank you Emotional Movie! We were blown away at how amazing our final video turned out. EM has such an eye for detail and made ordinary situations look artistic and unique. They made us feel so comfortable during the wedding and engagement shoots. They were funny and relaxed but also very professional. They knew how to get us to 'be ourselves' and it was during those times, they captured the best moments. When we show the video to our friends, everyone comments on how amazing the cinematography and editing is. In addition to the final product, when we requested small changes and edits, they were quick to reply and cater to our request. We strongly recommend them and the high quality of their work. My husband and I did extensive research to find wedding videographers in Lucca. However, when we viewed the work of Emotional Movie, it was clear that their skills and filmmaking were of a different standard to any wedding videos that we'd seen before. This made it an easy decision to select them as our wedding videographers. As the bride, I felt very anxious about having cameras around me on my wedding day. I feared that it might make me feel uncomfortable. However, Emotional Movie were a joy to work with. On the wedding morning, they put me at my ease. Throughout the day, I felt genuinely unaware of Emotional Movie capturing footage simply because they were so quiet, respectful and efficient in capturing all of the special moments from our wedding day, but doing so in a way which was unobtrusive. The turnaround for receiving our wedding video was very quick. The video we received exceeded our expectations. Emotional Movie presented our day beautifully, capturing all of our favourite moments from the day. The films provided demonstrated the artistry of these talented filmmakers. Moreover, some of our favourite wedding photos also came from screen shots provided by these videographers. Upon showing the footage to my family, many of them commented that they too had been unaware they were being filmed because of Emotional Movie's discreet approach. My husband and I would like to thank Emotional Movie for capturing these special memories so beautifully. It was a pleasure to share our day with you. I'm not even sure where to begin! Working with the Daniele's was a dream. When I stumbled upon their work while endlessly searching for videographers in Tuscany I knew they were it. Everything I had been looking for and so much more. When the day finally came and our video was ready, my husband and I watched (and cried) in awe as we relived each special moment of our wedding day. There wasn't a thing they missed! What a gift, to be able to have something so special that we will cherish for the rest of our lives. Something to remind us of where it all began and that magical day in Tuscany that started our forever. The talent of these two is truly unmatched and the passion for what they do is evident in their beautiful work. I would recommend them over and over and over again, thank you guys for everything! The videos are truly spectacular. Our wedding video was extremely important to us so we did a lot of research to find the perfect videographers! I loved the story that Emotionalmovie told through their videos, while having a professional and artistic touch. We absolutely loved working with Daniele & Daniele. They even took the time to meet with me on a vendor visit trip to Italy 5 months before the wedding, which provided me with an extra comfort the day of my wedding! They are silly and fun, but take their work extremely seriously and it shows! They videos are magic! The day of the wedding, it was a blast having them there and we felt so comfortable having them capture our most intimate and private moments. When we got our videos 5 months later we were over the moon happy with them, they were everything we could have wanted and more! We appreciated that they took the time to get to know us, find out our music tastes, and listen to our "vision." The videos were perfect. We highly highly recommend Emotionalmovie!!! My wife and I got married in Tuscany this past September and we couldn’t have been any happier with our decision to work with the team from Emotional Movie. They were simply EXCELLENT! They were incredibly accommodating and attentive to our needs and requests. They were so easy to work with and also made us feel so relaxed on our big day. Our video exceeded our expectations and we were just left in awe of the quality and the detail! They brought back all the beautiful memories of our wedding which we will forever cherish! We would not hesitate to recommend their service to anyone. Daniele and Daniele, again, a very big thanks to the both of you! We hope to work with you again in the future! Grazie mille! My husband and I had a vision for our destination wedding in Florence, we interviewed many vendors during the process. Daniele’s initial interview stood out to us because of his professionalism and friendliness, we knew his team would be the ones who would display our wedding the way we dreamed of. Daniele was also kind enough to work within our budget and offered services nobody else did. The team was a pleasure to work with the day of the wedding, they made us feel very relaxed and even joked around with us to take off some pressure of having a camera in front of you. We knew the video would turn out amazing, but we were blown away with the end result. My husband and I have no words for the beautiful work that was delivered to us, every moment was beautifully captured and it was emotional reliving the special day. 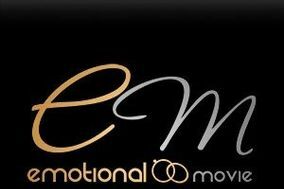 We can’t thank the team at Emotional Movie enough for their work, we highly recommend booking them for your wedding! We spent a lot of time looking for the perfect videographers for our wedding in Lucca and we are so glad we chose Emotional Movie! They are really lovely guys, so calming and relaxed they make you feel very comfortable. Even all of our guest commented on how nice they were. They captured everything perfectly, so many little details that you wouldn’t imagine. They are amazingly talented at what they do and everyone has been blown away by our video. They really seem to enjoy what they do too and I think that is why their work is premium. Definitely worth the money! there is nothing more to say but BEST, PERFECT, INCREDIBLE, REAL ...worth every penny! the service of the team was extremely professional, they followed the whole day without being "visible" and captured all precious moments as if they were friends. The videos we got are movie quality! We are totally blown away and have nothing to say than a BIG THANKS to Daniele&Daniele !! Incredible film making, the aesthetics they have is very sensitive and elegant. They listen to our preferences and implement our requests into their films so beautifully and naturally. We especially liked how they play with the light and shadow using black and white. Very kind and sensitive people to work with. Thank you so much Daniel! I hope you will make not only wedding movie but artistic short films. The talent, creativity and professionalism of the Emotional Movie group is truly unparalleled. To say that I am impressed, would be an understatement. Our videos turned out to be more like Hollywood feature films than simple wedding videos. I cannot thank the EM team enough for the hard work and dedication they put into capturing our wedding day. Choosing them was one of the best decisions i made (besides marrying my husband)! My husband and I are incredibly grateful to have had such an amazing team of videographers at our wedding. It was a 3 day event and they have truly captured all of it from the tiniest of special moments to the many beautiful settings and groupings of people for us to cherish forever. They were very professional, organised and worked so easily with the various people who helped put our wedding together as well as being kind and friendly with our guests. They were such a pleasure to work with and so much fun! with such effortless talent that we barely felt the cameras all around. The proof was in the highlight and film videos produced, these were absolutely beautiful and showed that they had understood our personalities and the mood we wanted to capture of our special weekend. We look forward to celebrating more happy occasions and would certainly request their services again! We highly recommend them don't go looking anywhere else!!! We were so impressed and blown away by the quality of the finished product. The guys were very professional on the day and have managed to capture the essence of the day in amazing cinematography. We haven't stopped showing our wedding guests and they have all been blown away too, as it seems no-one has seen anything like this before. I can't recommend Daniele enough, as he and his team will create something you will treasure for generations. We would recommend anyone considering to engage Emotional Videos to do so without hesitation. They've managed to capture all the love, the laughter, the tears and the joy at our wedding. The videos are beautiful and we are so happy to be able to always look back at these cherished memories. We couldn't have asked for better videographers. Thank you Daniele and Daniele for your stunning work. My husband and I decided to get married in Tuscany... we knew we needed the BEST, most intimate wedding video to show our loved ones at home (N.Y.). We wanted a video that captured each moment of excitement and every bit of emotion... we recieved our video in and timely fashion and we were SPEECHLESS. Emotional movie went above and beyond our expectations and they were absolutely wonderful and fun to work with. I highly recommend them for any special occasion that's needs the perfect touch. ???????????????????? -Gina & Matthew D.
My husband and I were truly blessed to have hired Emotional Movie to film our wedding renewal in Positano Italy. Daniele and Daniele were consummate professionals in every aspect. They scouted the location the day before which is a testimonial of their professionalism. Positano is not the easiest location to film along with the July heat but they made the day so effortless for us. Their film captured our day, our story in the most beautiful way that it brought tears to my eyes. Being able to relive this special day through their artistic lens is priceless. When I was choosing a videographer to capture my wedding in Italy, I researched for weeks and rewatched video after video until I finally decided to use EmotionalMovie. My decision was made because I genuinely felt like their art truly captures the love that surrounds a couple on their wedding day. The team made us feel so comfortable and special on the day of our wedding and everyone who has seen the video says it's the most beautiful wedding video they've ever seen. We saw the highlights video and we cried and could not hold it in. It is so beautiful and we are so pleased you have done an amazing job and we are stunned at how good the video is. We showed a few friends already and they too cried and love the video. It was such a pleasure working with Emotional Movie. Daniele and Daniele were so easy to work with. I initially thought that having both photographers and videographers would create a timing and scheduling issue but these two were about to capture all the most beautiful shots without any issues. The video itself was beautiful. We have gotten so many comments from our friends and family about the quality of the video. We would highly recommend them to anyone.